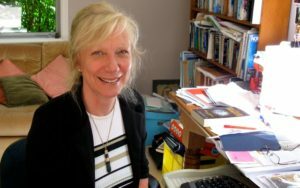 Multi-award-winning Raumati-based author Mandy Hager is the winner of the 2019 Storylines Margaret Mahy Medal for life-time achievement and a distinguished contribution to New Zealand’s literature for young people. The Storylines Margaret Mahy Medal award was begun in 1991, and is regarded as New Zealand’s most prestigious award in children’s books for authors, illustrators and publishers. Previous winners have included Joy Cowley, Lynley Dodd, David Hill, Kate De Goldi, illustrators Gavin Bishop and David Elliot and publisher Ann Mallinson. 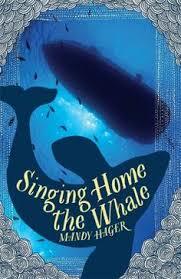 In 2015, for her novel Singing Home the Whale, she was awarded the Margaret Mahy Book of the Year award, and the Best Young Adult Fiction Award at the New Zealand Book Awards for Children and Young Adults. 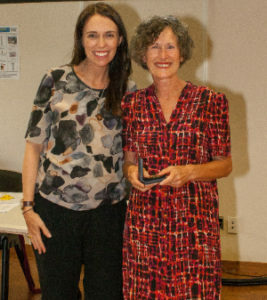 This novel was also chosen by Storylines (as the International Board on Books for Young People (IBBY) New Zealand section) as its 2016 IBBY Honour Book for Writing, an international award. Other notable titles include the Blood of the Lamb trilogy, Dear Vincent, and her latest Ash Arising, a sequel to the acclaimed thriller The Nature of Ash (2012).